Heat the frozen bag of cauliflower florets in a microwave safe bowl for about 5 minutes until they are soft. 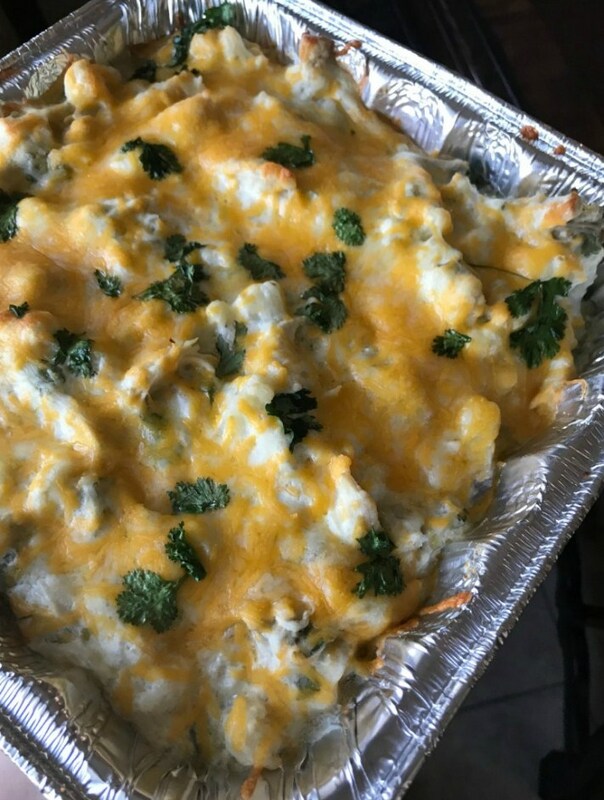 In a medium-size bowl combine the cauliflower, sour cream, cream cheese, salsa verde, garlic, cilantro and 1 cup of the shredded cheese. Add the shredded chicken (or turkey) and the optional can of Rotel (drained) to the mixture. Pour into a casserole dish and top with the remainder 1 cup of shredded cheese.